If you watch the show and get reminescent of ‘Mad TV‘, well there’s a reason for that. Key and Peele featured in the comedy from 2003-2009 collectively, and have re-created the experience, to an extent. The renewal of a fourth season is not the only news for the funny duo. Comedy Central has given the pair a development deal for an animated series based on their Critiquer’s Corner characters, Vandaveon Huggins & Mike Taylor, from YouTube videos that showcase their alter-egos critiquing ‘Key and Peele‘ episodes. For this project, Vandaveon & Mike are 12 year old hall monitors navigating their way through middle school. “Keegan and Jordan keep generating such a limitless supply of funny, inventive sketches, I’m starting to think they are not only 1/2 black and 1/2 white, but also 3/4 alien,” said Comedy Central’s president of original programming Kent Alterman. With an endorsement like that, how could Comedy Central have possibly said no? 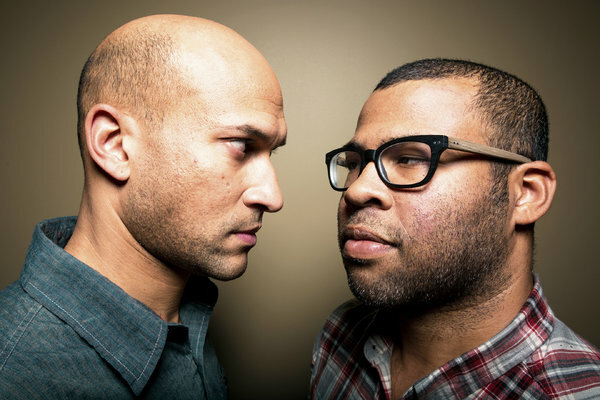 Key and Peele have kept their images lively and present with, not only their own show, but appearances in high-rated tv shows and film opportunities. Key’s most recent performances have been ‘How I Met Your Mother‘, ‘The Lego Movie‘ and ‘The Middle‘. Peele has been featured in ‘Modern Family‘, ‘Bob’s Burgers’ and providing a voice for the highly anticipated ‘Captain Underpants‘ book series adaptation. This entry was posted on Wednesday, March 12th, 2014 at 9:54 pm	and is filed under News, Television. You can follow any responses to this entry through the RSS 2.0 feed. You can skip to the end and leave a response. Pinging is currently not allowed. « Paramount is Remaking ‘Explorers’! !